Animals don’t have the capacity to communicate in a way that humans can comprehend. For dogs, they bark and whine. 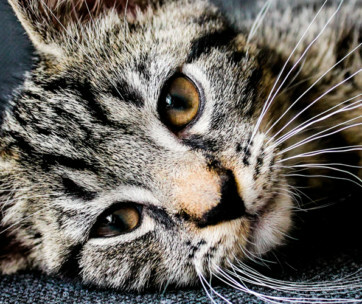 For cats, it’s their signature meow that has become the symbol of their feline nature. When a cat meows, we listen to it in an effort to decipher the message the cat is trying to convey. But what if the cat opens its mouth as if meowing, yet you don’t hear a sound? It seems ridiculous but it actually isn’t. As a matter of fact, silent meows are perfectly normal. What does this mean then? Let’s find out. A cat’s meow is similar to a dog’s bark or a person’s speech. It is a tool that conveys a particular message. The message depends on the pitch and tone of the sound that the cat elicits. A purr means the cat wants to snuggle. A growl or a hiss means that the kitty is in a defensive mode. Cats howl, too, as a means of attracting potential mates. While they are not birds, cats can elicit a chirp-like sound as well. This sound is often associated with a cat calling your attention to the presence of a prey outside the house. So, where does the silent meow sit in all of these feline sounds? The silent meow is not silent at all. It is important to recognize that cats have a more acute sense of hearing than humans. Their ears are also anatomically-different than what we have as humans. A typical cat can hear sounds that operate in the range of 45 to 64,000 Hertz. By comparison, the human ear can only “perceive” sounds that come in 64 to 23,000 Hertz. What this means is that cats have a more acute sense of hearing. It is possible that their “meow” is either below 64 Hertz or above 23,000 Hertz that our ears cannot pick or sense the meow. Because our ears cannot perceive the sound, our brain interprets it as “silent”. There is another anatomic feature that can help explain why a cat has such a superb sense of hearing. If you look at their ears, they have a very distinct shape. One can say that its principal design is for gathering sound waves from the air. The shape of the ear lobes funnels these sound waves straight into the eardrums. When put in real-world application, this unique anatomy of the cat’s ears allows it to hear very faint sounds from up to 30 feet away. Hence, the silent meow is not silent at all. Our ears are simply not capable of picking up the frequency of the sound that the cat elicits. Since a “silent meow” is not at all “silent”, the meanings can be similar to a typical meow that we hear. Here are some of the possible meanings of the feline silent meow. Cats are never as showy as their canine counterparts. 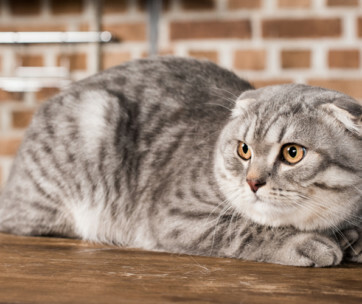 There are many cat breeds that don’t mind not getting their owner’s attention every time. However, if you own a breed that is known for attention-seeking behavior, then you might notice the kitty to express a silent meow. Examples of kitties that are known for relishing the attention of their owners include the Himalayan, Burmese, and Siamese cats. A dog will run and jump onto you when you arrive home from work. A cat will never do that. Instead, it may elicit a silent meow which is like saying “Pick me, pick me, pick me!” or something like “I miss you! Come here!” In such cases, the silent meow is a form of feline greeting. Of course, not all cats do this. So don’t expect your kitty to do the same. Another possible explanation why some cats may elicit a silent meow is if they are already hungry or thirsty. This often comes in combination with other feline behavior. You may see the cat sniffing its food bowl or slipping its paws into your bag of food. It may also go to its water bowl several times in an attempt to tell you to replenish its drink. The silent meow, in this case, is the kitty’s way of telling you to give it its meal or drink. You might want to ask yourself the last time that you fed your cat. 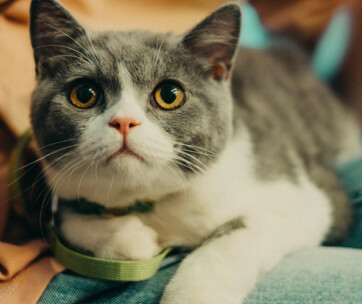 There are cats that can exhibit a variety of behaviors to get their owner’s attention related to the cat’s needs. For instance, a cat may want to go outside in the backyard, but cannot open the door. It can elicit the silent meow to get your attention and help it go outside. The same is true for something that it may want to reach. In this case, the silent meow is the cat’s way of telling you that it needs something. Kitties don’t like sleeping in a very noisy environment. In the wild, cats will climb up the highest branches of trees to sleep. This is the perfect place to recharge themselves after a long day of prowling and hunting. 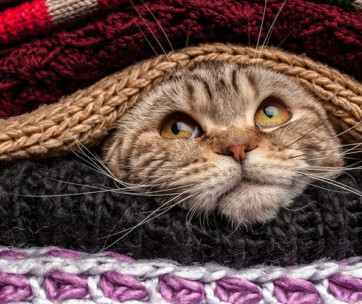 Some cats also try to get some shuteye in caves or dens. They don’t want anything to distract them. Some cats may give you a silent meow as a way of saying, “Shut up! I’m trying to get some sleep here!” Of course, we made that up, but you do get the message. 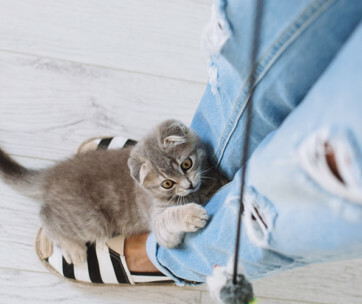 If your kitty has just finished a very lengthy playtime, expect it to take a rest. And if the surroundings are noisy, it will give you the silent meow. It is also possible that the cat has something that is bothering it. For example, it may have an upset stomach or an irritated skin that it wants you to check and manage. 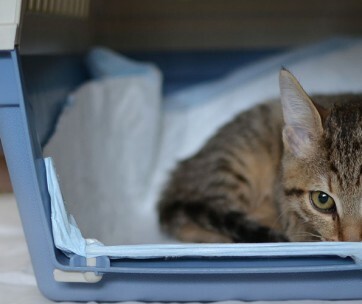 Pay close attention to the other signs that may indicate a health concern in your kitty. A silent meow is just like any other cat sound. It tells you to check on your cat. Maybe it needs something.